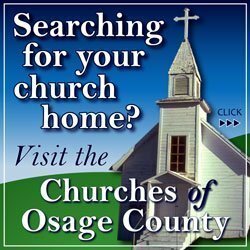 The following information was compiled from records at the Osage County Courthouse, May 14 through May 18, 2018. Darrel E. Orender and Trudy G. Orender to Brent Gould. Tract SW 1/4 34-18-14. Clara L. Fuller and David Scott Fuller to Daniel A. Graham and Candace M. Graham. Tract NW 1/4 23-14-15. LeRoy E. Frye Trust to Karl C. Zimmerman and Denise J. Zimmerman. Tract NW 1/4 25-16-14, Even Lots 30-36, Block 1 and Odd Lots 29-35, Block 4, Howe’s Addition, Osage City. Cynthia E. Wymore to Derrick L. Whalen and Erinn A. Whalen. 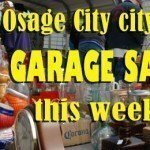 Odd Lots 25-29, Block 27, Original Osage City. Secretary of HUD to Donald E. Flory and Vera M. Flory Trust. Lots 1-4, Block 12, Original Vassar. Christina Atchison and Charles Atchison to Mark S. Hecht and Pamela J. Hecht. E 1/2 E 1/2 and W 1/2 E 1/2 Lot 16, Block 34, Original Burlingame. William Tadd Goodyear, Marsha K. Goodyear, Joseph Todd Goodyear and Teresa Jane Goodyear to Fieldstone Orchard LLC. Tract SE 1/4 28-14-17. Clinton D. Baker Trust to Levi J. Mullet and Sarah A. Mullet. Tract NE 1/4 28-15-15. Jean M. Owens to Kellie Jones. W 1/2 Lots 4-6, Block 36, Original Lyndon. Walter M. Cox and Jennifer G.K. Cox to Dwayne C. Throneberry. Odd Lots 5-9, excluding W 15, Block 23, Original Melvern. 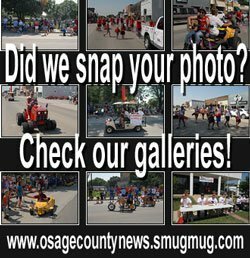 Osage Townhomes LLC to Osage Properties LLC. Lots 1-8, Tenth Street Townhomes West Addition, Lots 1-8, Tenth Street Townhomes East Addition, Osage City.